Despite the label of being “infertile,” some couples who have tried fertility treatments are later able to have a baby naturally, according to a new study from France. In some instances from the research, the parents had had another child previously using in vitro fertilization (IVF) — while in other cases the couple had a baby even after an unsuccessful experience with IVF. “Most infertile couples think that they are unable to conceive spontaneously whereas our study shows (this) remains possible,” Dr. Pénélope Troude at the French national medical research institute, INSERM, wrote in an email to Reuters Health. “Our results should give hope to couples who have been unsuccessfully treated by IVF,” Troude and her colleagues wrote in their report, published in the journal Fertility and Sterility. Researchers have previously reported that couples waiting for IVF treatment will occasionally drop off of the wait list because they become pregnant without fertility treatment — what doctors refer to as a “spontaneous” pregnancy. To get a better sense of how frequently people going through IVF end up having babies without extra help, Troude and her colleagues collected information on about 2,100 couples who had begun fertility treatment in France in the early 2000s. About 1,300 of those couples successfully ended up having a baby through IVF. Eight to 10 years later, the couples responded to a survey about whether they’d had a child on their own following fertility treatment. Among the parents who’d had a baby through IVF, 17 percent later had another child without assistance. And among couples who originally failed to have a baby with fertility treatment, 24 percent went on to have one from a spontaneous pregnancy. Considering fertility treatment? 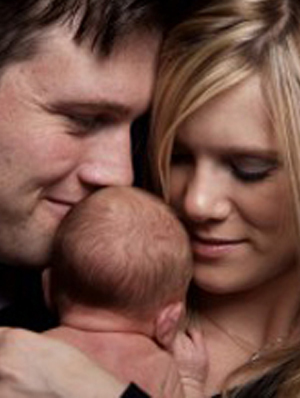 Our team of doctors, nurses, and counselors have years of experience treating infertility. We’d love to assist you on your fertility journey and offer a free consultation to help you get all of your questions answered. Call us to schedule an appointment.